To say that Spain is a popular destination is a huge understatement. A combination of factors — sunny climate, excellent beaches, vibrant cities, ancient architecture, art, culture, cuisine, wine (I could go on) — have made it the world’s third-most visited country. 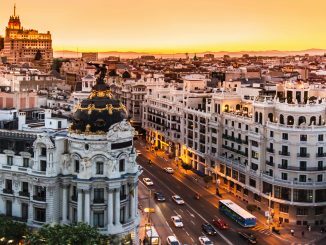 Yet, despite its 75-million-plus yearly visitors, Spain still offers more bang for the buck than most European destinations. Summer is high season, a time when northern Europeans flock to the Mediterranean Coast for sun and sand, while armies of North American cruise passengers invade the cities. Better to visit in the spring or fall, when crowds are thinner, temperatures are comfortable (summer can be steamy), and lineups at attractions are shorter. 1. With more than 100 museums and art galleries, it’s easy to overdose on culture in Spain’s capital city. Start with the “Art Triangle” — Museo del Prado, Reina Sofia Museum and the Thyssen-Bornemisza Museum — home to some of the world’s best art — Spanish, contemporary and western. This year the Reina Sofia has a special exhibition of works by Pablo Picasso. The Pity And Terror: Picasso’s path to Guernica features 150 works by the Spanish artist, including Guernica, his masterwork that explores the horrors and complexities of war. The exhibition continues through Sept. 4. 2. Madrid is an elegant city full of architectural treasures. The enormous Royal Palace — some 135,000 square metres and 3,418 rooms — is the city’s largest building. Built in the 1,700s on the site of a 9th-century Moorish palace, it contains a wealth of art — works by Caravaggio, Goya, Velazquez — as well as frescoes and notable collections. Previous generations of Spanish royals once called this behemoth home. While it is still the official royal residence, the current royals live in a somewhat smaller palace, and this enormous edifice is open to the public and also used for ceremonial functions. 3. 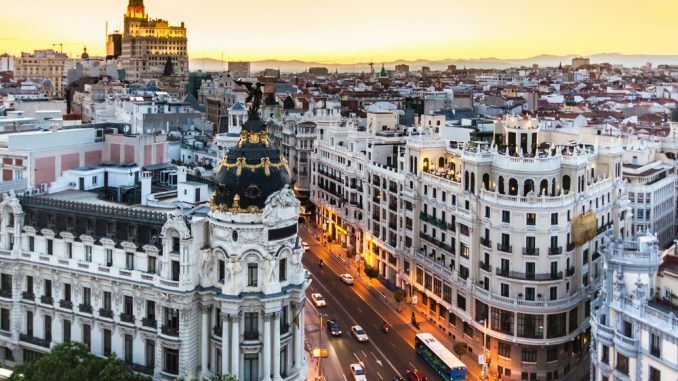 Madrid is also known for its blue skies, so allow time to soak up some sunshine and local vibes at an outdoor cafe on one or more of the city’s wonderful plazas. Two great places for people watching: The centrally located and regal Hapsburg-era Plaza Mayor, which celebrates its 400th birthday this year, and the shop-and-cafe-lined Puerta del Sol a few blocks away. Puerta del Sol is home to the symbol of Madrid — an enormous statue of a bear nuzzling a madrono tree — and a plaque marking Kilometre Zero — the geographical centre of Spain. Local tradition demands you touch the bear’s foot for luck, and step on the plaque to ensure your return to Madrid. 4. Spaniards are justifiably proud of their cuisine and there are many wonderful places to try local dishes. A visit to Mercado de San Miguel is a tasty and economical way to sample a variety of nibbles in one place. The gourmet tapas market, just off Plaza Mayor, is a culinary hotspot where locals and tourists can grab a quick lunch or dinner. The 33 stalls inside the renovated wrought-iron-and-glass building sell everything from oysters to cheese to paella to chocolate. With so much choice, your biggest “problemo” will be deciding what to eat. 5. Madrid is a walkable city with architectural eye-candy at every turn. A stroll down the Gran Via — from the domed Metropolis Building on Calle de Alcala to Plaza de Espana — takes you past ornate buildings, shops, cinemas, bars and theatres. For a great view of the city centre, pay a couple of euros and take the elevator to the terrace on top of the Circulo de Bellas Artes on Calle de Alcala. Retiro Park is a leafy green gem that once belonged to Spain’s royals. Now a popular public park, it’s home to beautiful gardens, monuments and the lakeside Crystal Palace, a former greenhouse used for art exhibits. 6. The Rainbow Flag will be flying loud and proud over Spain’s capital when it hosts World Pride Madrid 2017 (June 23 to July 2). The 10-day celebration of LGBITQ culture, diversity and equal rights will feature hundreds of events — from music, dance, performing arts, visual arts, literature and sports to children’s activities — on stages around the city. More than 3 million people are expected to turn out for the Pride Parade — the festival’s signature event — on July 1. The giant event — perhaps the world’s largest — will run along Paseo del Parado from 6 p.m. to midnight.